Bob Mansfield, a longtime Apple executive who previously served as Senior Vice President of Technologies, recently took over Apple's secret car project. Under his leadership, Apple's car strategy has shifted towards autonomous driving, reports Bloomberg. Apple is not abandoning its effort to build a full Apple Car, but it is said to be focusing more heavily on creating an autonomous driving system that would perhaps allow it to partner with or purchase a car manufacturer in the future. 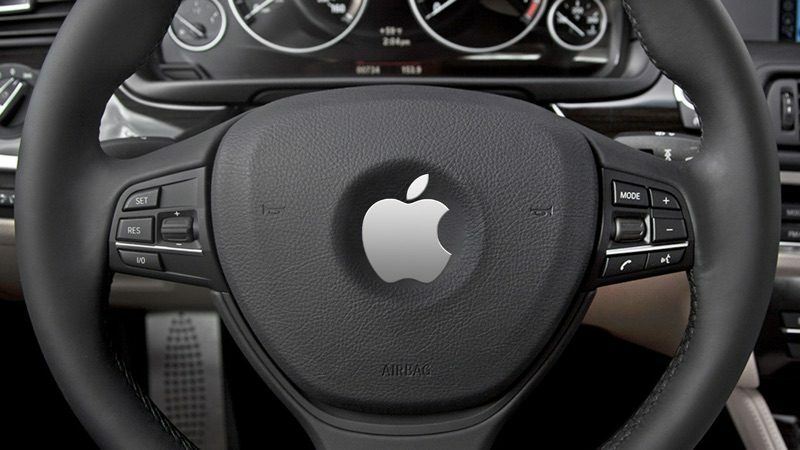 Apple is now said to be pursuing a two-prong development approach, working both on a car and the software to power it. As Apple takes a renewed interested in autonomous driving systems, it has hired Dan Dodge, who ran BlackBerry's automotive software division and developed QNX, the software platform found in a wide range of in-car infotainment systems. Dodge, like other Apple car engineers and employees, reports to Mansfield, while Mansfield reports directly to Apple CEO Tim Cook. Mansfield reportedly has three distinct teams in his division: a software team led by John Wright, a sensor team led by Benjamin Lyon, and a hardware engineering team led by D.J. Novotney. Under Mansfield's direction, Apple is continuing its aggressive hiring policies, taking on former Ford employees Todd Gray and Aindrea Campbell, both of whom have experience with car body manufacturing and research. With Mansfield at the helm, Apple may be able to get its car project back on track. Rumors have suggested that the departure of Steve Zadesky, who formerly led the project, resulted in delays, internal strife due to challenges like unattainable timelines, and organizational changes. Recent rumors suggest Apple is now aiming to launch an Apple Car in 2021 instead of 2020, but if Apple decides to go with a software-based product meant to be built into existing cars, it could potentially debut earlier. Everyone jumping on the "Self-driving car" bandwagon seems to be underestimating the complexity of understanding and handling the infinite unpredictability of the real-world. Particularly since people's lives are at stake in a moving vehicle. Instead of two pedals, one for braking and the other for gas. Apple can do what they did with the mouse and make the pedal do both. Perhaps just a tap once for gas, tap twice for brake. Swipe your foot for a casual smooth ride or use you toes to pinch and zoom when you want to get closer (zoom) to the object in front of you. Force tap (depending on if you force tapped once or twice will give you a more aggressive start or stop). I am sorry, but if Apple software is going to drive a car, Apple better seriously step up their software quality. In my mind Apple has become to obsessive with its marketing driving the release timeline to ever make reliable auto software. "Apple is not abandoning its effort to build a full Apple Car ('https://www.macrumors.com/roundup/apple-car/'),"
Mansfield will lead this Project successfully I believe. Good move by Apple by making him the leader. "Apple's car strategy has shifted towards autonomous driving" Ummm. Autonomous driving should have been the starting point, not a new direction for the project. Either way, it sure beats a partial car.